A Russian technology executive has sued BuzzFeed and its editor Ben Smith for publishing the unverified Trump dossier, calling it "perhaps one of the most reckless and irresponsible moments in modern 'journalism.'" Within hours of the lawsuit's filing, BuzzFeed blacked out the name of Aleksej Gubarev in the dossier on its site and apologized. 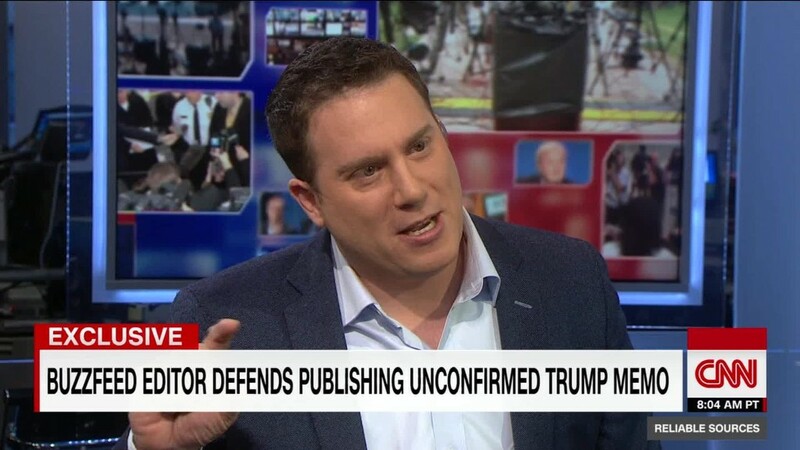 "We have redacted Mr. Gubarev's name from the published dossier, and apologize for including it," BuzzFeed spokesman Matt Mittenthal told CNNMoney. 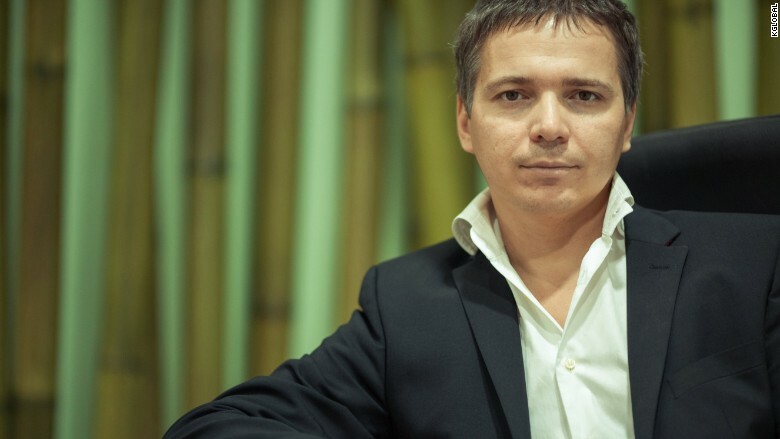 Aleksej Gubarev is the CEO of XBT, a company that hosts websites and runs thousands of computer servers worldwide. The lawsuit claims that the anti-Trump dossier, put together by a former British intelligence operative, falsely alleged that Gubarev was "recruited under duress by the FSB" and became a "significant player" in the Russian government operation to hack the Democratic National Committee. Gubarev filed a separate lawsuit in the United Kingdom against Christopher Steele, the former MI6 agent who, multiple sources tell CNN, compiled controversial opposition research against Donald Trump. In it, the Russian executive claims Steele was "prepared to tarnish" him "without... conducting even the most basic attempt at verification." Although several news organizations had obtained the 35 pages of memos, BuzzFeed was the only one to publish them in full. On Friday, Gubarev sued Buzzfeed and Smith for defamation in Broward County, Florida. In his lawsuit, Gubarev said "he has found his personal and professional reputation in tatters." He also notes that his wife has become "a target of online harassment," while the safety of his three children is now in jeopardy. Gubarev also claims his companies, XBT and Webzilla, have been severely damaged by the unsubstantiated accusations. Aleksej Gubarev, a Russian technology executive named in the unverified anti-Trump dossier. The lawsuit criticizes BuzzFeed for publishing the memos, alleging that "BuzzFeed itself admitted it had no idea what -- if anything -- in the dossier was truthful." Indeed, when the news website published the memos on January 10, it justified "publishing the full document so that Americans can make up their own minds about allegations about the president-elect that have circulated at the highest levels of the US government." Gubarev's suit claims that the initial posting has been viewed almost six million times, and the news site has written eight follow-up articles that all link back to the unsubstantiated dossier. Before he filed the lawsuit, Gubarev spoke to CNNMoney about the damage he had already experienced from the leaked dossier. "I'm really damaged by this story. This is why I'm ready to spend money and go to court about this," he told CNNMoney in mid-January. "I have a multimillion dollar business. Why do I need these connections with hackers?" he said, speaking by phone from the Mediterranean island of Cyprus where he lives. "It's absolutely not true, and I can go to the court and say this." In his interview with CNNMoney, Gubarev said that three of XBT's European bank partners froze the company's $5 million credit line because of reports about the memos. Gubarev declined to provide CNNMoney proof of those frozen credit lines. He was named on the very last page of a salacious 35-page report that was financed by anti-Trump Democrats and Republicans. Gubarev's lawsuit claims XBT's servers were never used to infect computers and steal information from "Democratic Party leadership or anyone else." Gubarev's company helped launch the popular photo-editing app Prisma and runs the Dallas-based website hosting service Webzilla. He said he was shocked at any allegations he would act against American interests, given that 40% of his company's servers are located in the United States. He said they're located in Dallas, Texas, and Vienna, Virginia. Like anyone in the technology industry, Gubarev acknowledged that he has tangential ties to the computer security and hacking community. He has to defend his computer servers from attackers. And hackers routinely rely on data centers, like those owned by Gubarev's company, to position themselves and launch cyberattacks. But Gubarev said his company acts fast to stop hackers from using its systems. And he's willing to cooperate with any investigation -- by the FBI or other law enforcement agencies -- into claims he helped hack the DNC. "I'm willing to do any investigation. Come to my office. Do what you want. Check all my servers," he said.